All homeowners are aware that garage doors are essential in maintaining security, especially when automatic door openers are installed. Thanks to the wonders of advanced technology, these security systems have improved tremendously and are now more sophisticated and complex than ever before. However, this does not mean that they are foolproof; even the most advanced security system can be compromised, one way or another. 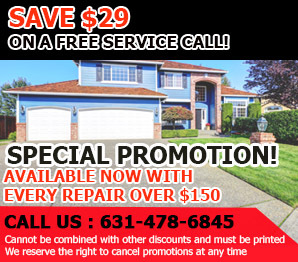 Garage Door Repair Amityville professionals offer two important ideas that can help homeowners maximize their security. Misplacing the opener’s remote control system can lead to a lot of trouble. Access to the garage is lost if someone manages to get their hands on it, or if it is lost. This is a danger that should be prevented at all costs. It is suggested that the remote be kept in a place where the homeowner can easily find, and also prevent others from easily accessing it. Security technology has advanced to prevent criminals from compromising the system, but even they are beginning to catch up. It is not unlikely for criminals to “steal” the access codes of an automatic security system by getting its signals. 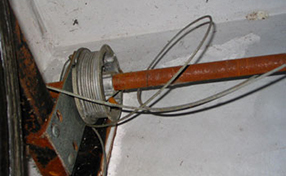 Homeowners can combat this with the help of rolling code technology. Rolling codes alter the security system’s code and signal every time the homeowner operates the opener. This has the benefit of preventing criminals from using the codes they stole, making it impossible for them to crack through the system. In these modern times, homeowners must be able to maintain their security and keep all bases covered, whether they are using simple locks or the most advanced technology available today. 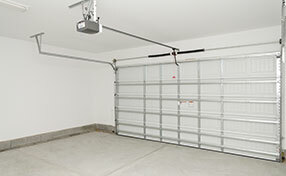 Doing so will benefit homeowners in the long run, and help keep the garage and home safe at all times.